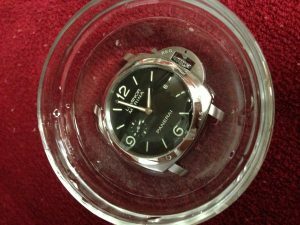 How to clean your Panerai watch case. 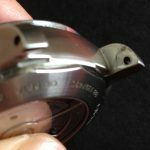 Everyone of us has dealt with the age old dilemma of how to clean these beautiful watches so they look their bests at all time. 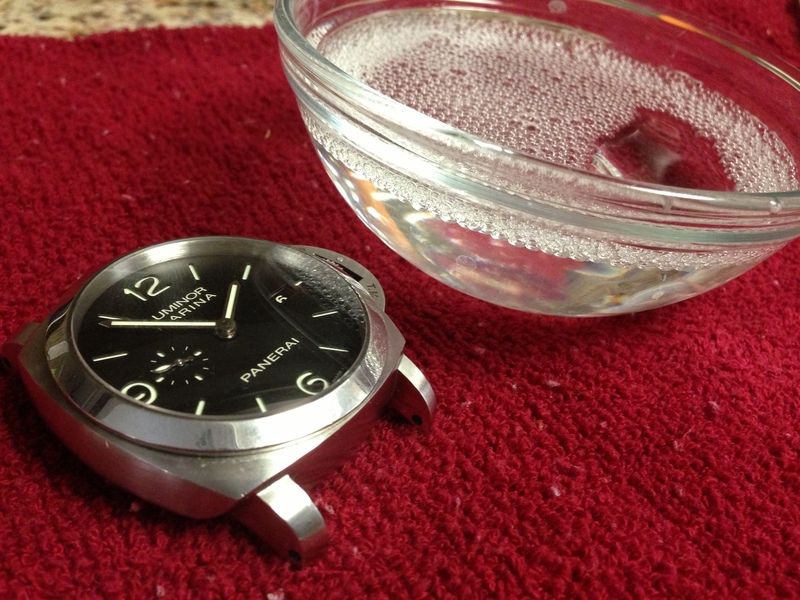 Everyone has a different method of cleaning their Panerai watch depending on what you have access to. 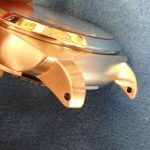 If you know someone in the jewelry field you can always get a nice professional steam cleaning but most of us don’t have that luxury so we clean our Panerai’s by ourselves. 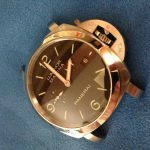 I am one of those said people that doesn’t have access to it but want to make sure my Panerai is clean and in tip top shape. Having said that, I feel that I have neglected mine for far too long and it’s time to give it a nice cleaning. 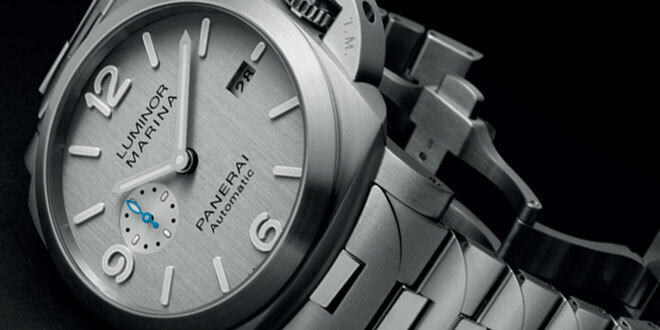 Depending on what you read there is some conflicted answers on how to clean your Panerai. 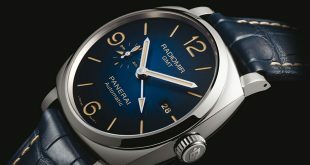 If you take the information directly from the pages of the Panerai instruction book they say the following. Cleaning the Exterior: To keep the exterior in perfect condition, we recommend washing your Panerai watch with soap and warm water, using a soft brush. 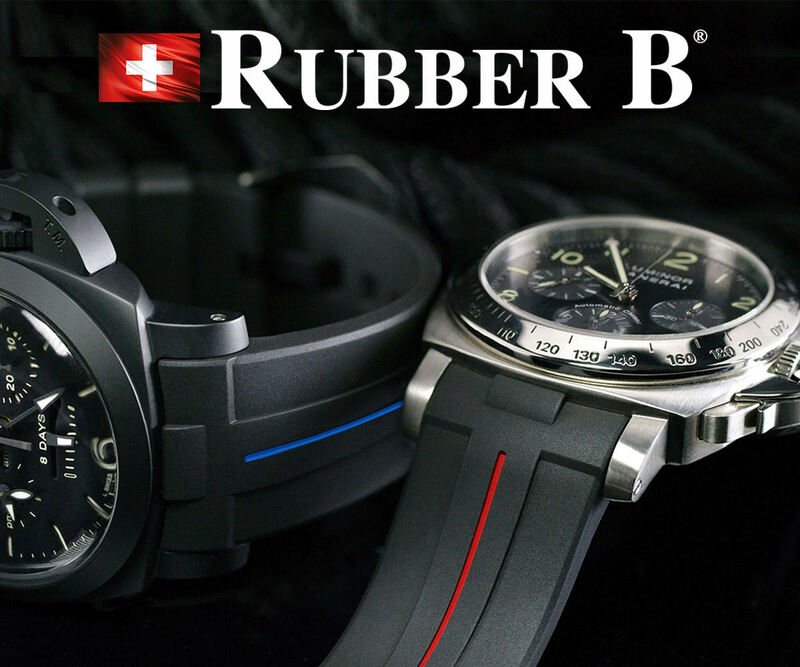 After this operation, and also after bathing in the sea or swimming pool, carefully rinse the watch with clean water. 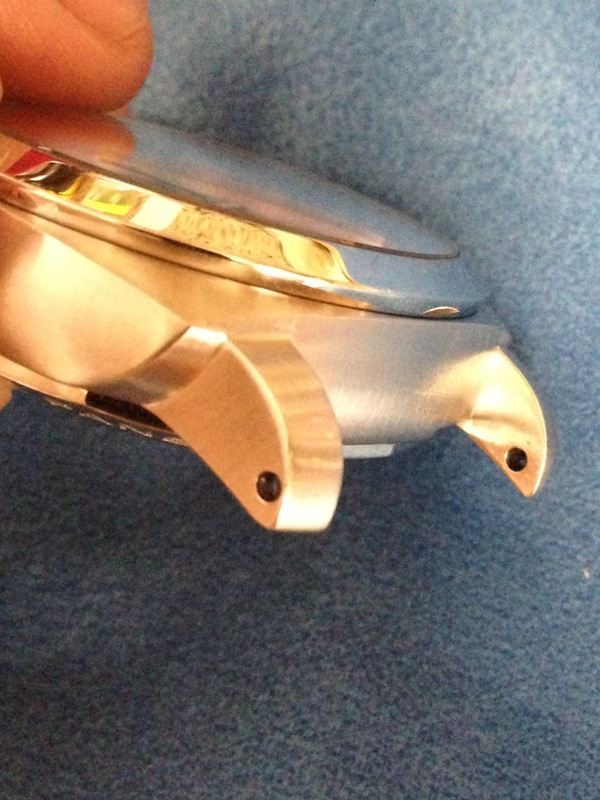 All Panerai watches can be polished with a soft, dry cloth. Simple enough right? 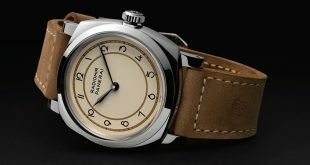 But if you do some reading some Panerai purists will say that you should try and not use too much soap because the suds tend to lower the surface tension of the rubber gaskets in the watch and can slowly eat away at it eventually causing it to let water in. That in itself is a scary scenario with such a high end watch. 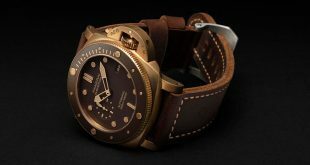 So what am I going to do with my Panerai with all this information? I’m going to do a sort of cross between the two. 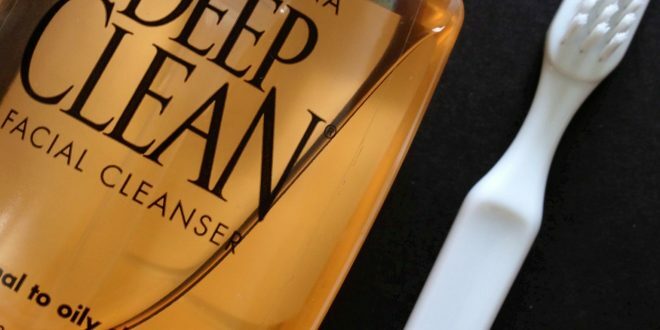 I am going to be using a very mild facial soap in super low amount with some warm water and a soft brush to clean off the areas of the watch that needs to be cleaned. I am going to create the mixture in a small bowl and dip the brush in and clean the watch instead of letting it soak or exposing it to too much of a soapy solution. 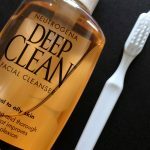 I figured instead of using dish washing soap I would use a daily facial cleanser which is going to be super mild compared to the other soaps. 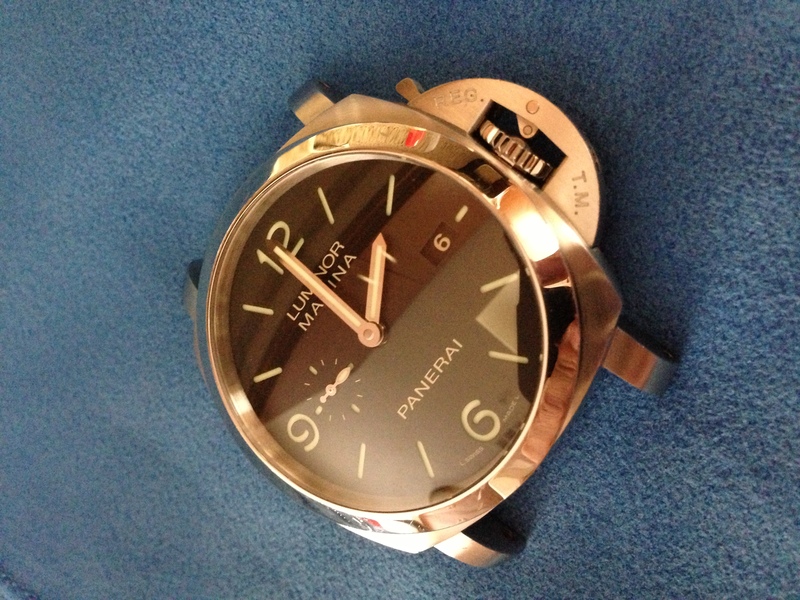 Here are a few shots of the the Panerai 312 before it gets a bath. 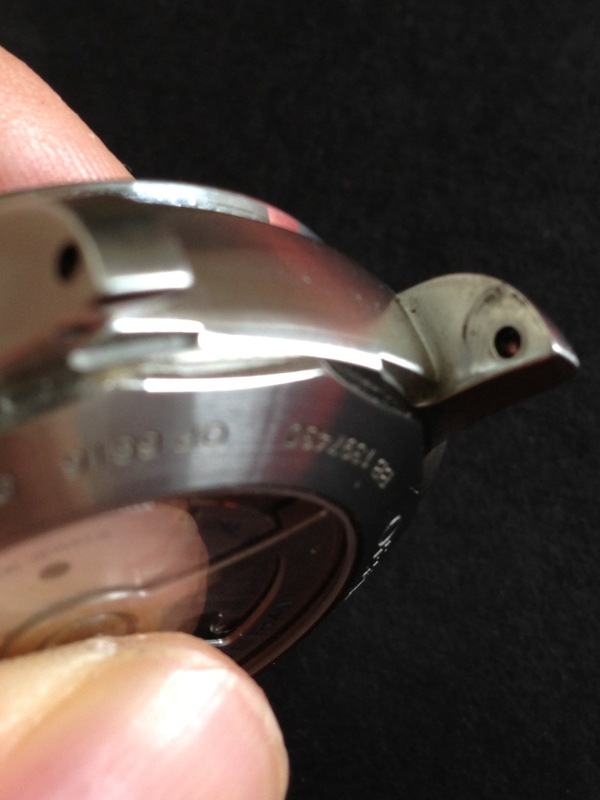 As you can see there was definitely some dirt and grime in the nooks and corners of this beautiful watch. Look at the grime on the crown! Some more dirt build up near the lugs. So here is how I went about washing my Panerai. First I put half a pump of the facial cleanser in a small bowl and filled it up with lukewarm water. I tried to pour the water in the bowl in such a way that it didn’t create too many suds. I then took the brush and whirled it around the bowl to get the soap solution nice and mixed. Once the solution was ready I took the soft brush and dipped it into the soap solution and proceeded to scrub lightly in all the areas that needed to be cleaned. I used the soap solution sparingly as to not drench the watch with a lot of soap. I worked the brush around into all the corners of the watch to make sure that I hit everywhere that I needed to. If you later find out you missed a spot, as I did, then you can always go back and clean it again since its not a tedious task. When I felt that I had done a good job of cleaning the watch I had a second small bowl prepared with just lukewarm water that I could soak it in. I placed the watch in the bowl and let the water soak in around the watch to make sure it got off most of the soap. After letting it soak for about 45 seconds I removed the watch and then proceeded to rinse the watch under lukewarm water in the sink to get rid of any access soap water that might be left on it. After the rinsing was complete I used a nice soft chamois cloth to buff and clean the watch completely. 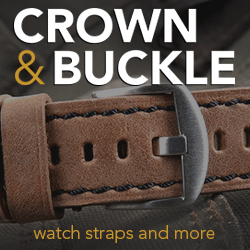 Using a very soft cloth like this will prevent you from getting a ton of hairline scratches on any of the stainless parts of your watch. Of course I have my fair share due to some wear and tear. It’s getting to be that time where I do some Cap Cod Cloth cleaning on that to bring it back to it’s normal shine. As you can see with the after pictures the watch has been cleaned nicely and is back to a respectable look. It’s just waiting to put on one of it’s favorite straps and hit the road again. If you are still weary of using soap then you can do the same procedure with some lukewarm water and call it a day. Remember, you may clean your watch in whatever way you see fit. 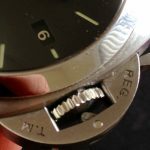 We at Panerai Central wanted to give you a small insight on how we clean our watches in case you have never done it before and are worried about it. If you have any questions please free to contact us and we will do our best to help. 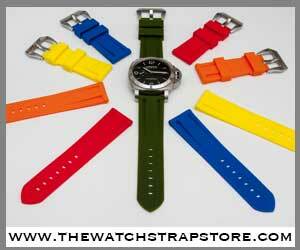 Cartier did make a rubber strap cleaner, which I have do you think that would be ok to use on my panerai ?? your idea was very good though. Yes I agree with you. 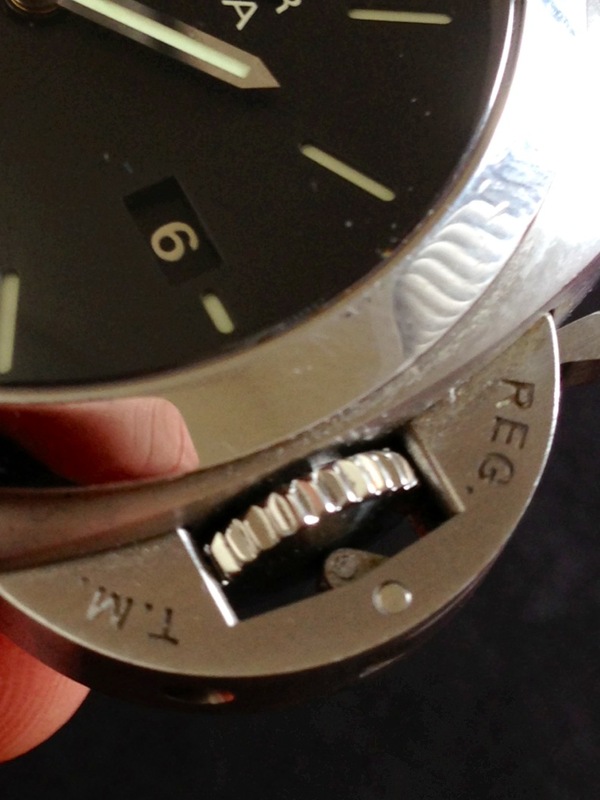 Any rubber strap cleaner should work with the OEM Panerai Strap as well. Always good to get that strap clean because things tend to get stuck in the corners. This is the best article I’ve ever read. Thank you so so so so so much PaneraiCentral!